When we first heard velvet was coming back, we thought it wouldn't stick around. It would just be a trend that passes quickly and isn't seen for years later, but we were wrong. Velvet became a mainstay in everyone fashion forward girl and guys wardrobes. 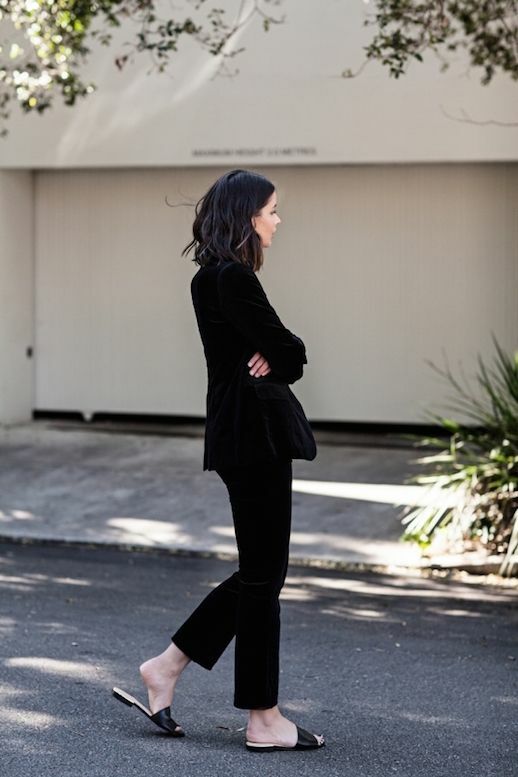 This fashion blogger rocks it perfectly in a black velvet blazer and matching trousers. She opted for minimal footwear with black slides. Love.